Congratulations on starting your very own small business! What an exciting time. Unfortunately, there are all sorts of things that can go wrong during the first year and the first few months can be really hard. In order to succeed from the outset, as well as ensure a successful future for your business, there are all sorts of things you need to stay on top of. Utilize spreadsheets and keep them organized — Spreadsheets are a must-have for any business, especially one just starting out. As soon as you launch your company, make sure you have plenty of organized spreadsheets that are detailing every single financial aspect of your business. Make a list of startup and operational costs, keep track of everything you’re spending, organize all your contacts and employee information, and keep everything up-to-date. U.S. Bank study, 82% of businesses that fail do so because of cash flow issues. A bank is often unable to lend to new start businesses. Consider working with an experienced accounts receivables funding company. These organizations can help you actually receive the money that your business deserves and needs during the first few months of starting your business. Outstanding invoices can cause your business to be without cash flow for sometimes as long as 90 days, which can be detrimental for a starting business. By working with an invoice factoring company, you’ll be able to receive immediate business credit funding so you can actually use the cash you have coming to you for other essential business aspects. Learn and connect with other businesses — It might seem scary to meet with your competitors, but it can actually do your company a lot of good. Simply visit and introduce yourself to your competition and attempt to develop a good relationship with them. You might come across some business owners that want to deceive you or won’t give you anything, but some owners might offer to help or provide you with some advice. 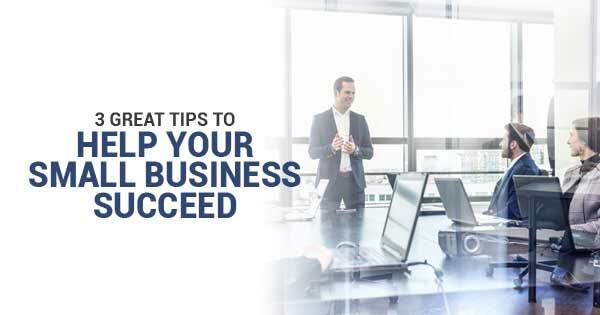 Hopefully, these tips will help you get your small business off the ground and allow you to survive and succeed in the future. If you’re in need of business credit funding and think receivables funding might be a good fit for you or you just want to learn more about invoice factoring services, give Eagle Business Credit a call today.